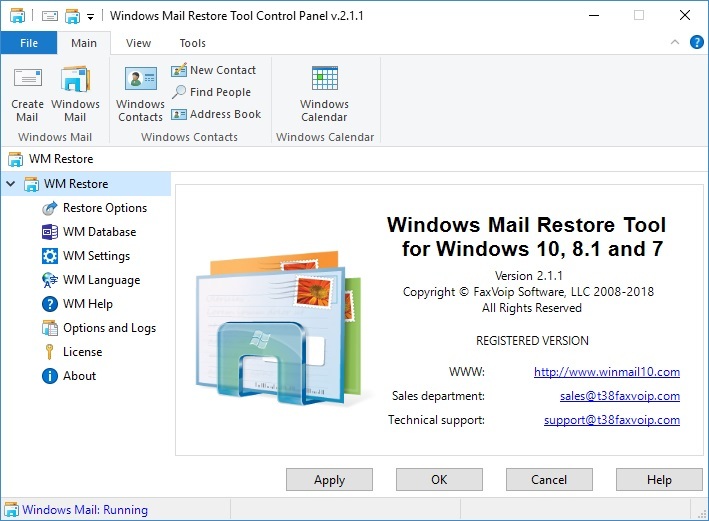 Enables to use classic Windows Mail (formerly Outlook Express) software on your Windows 10, Windows 8.1 or Windows 7 computer. Automatic restore after system updates. 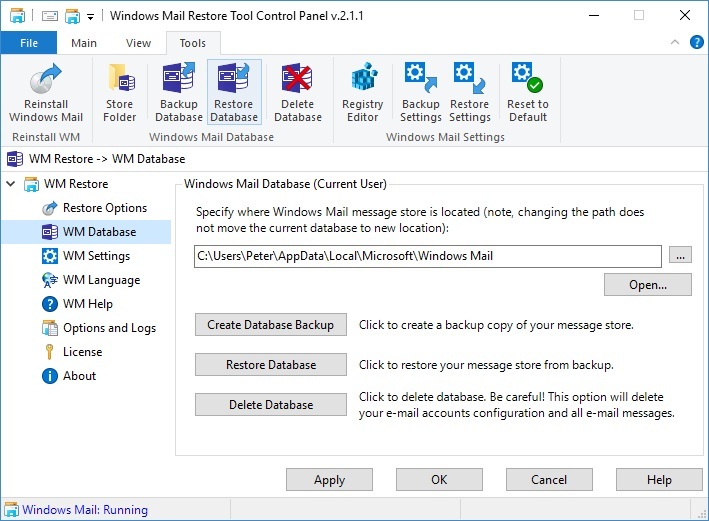 Backup and Restore Windows Mail message store and settings. Multi-language support. Classic e-mail client formerly known as Outlook Express. 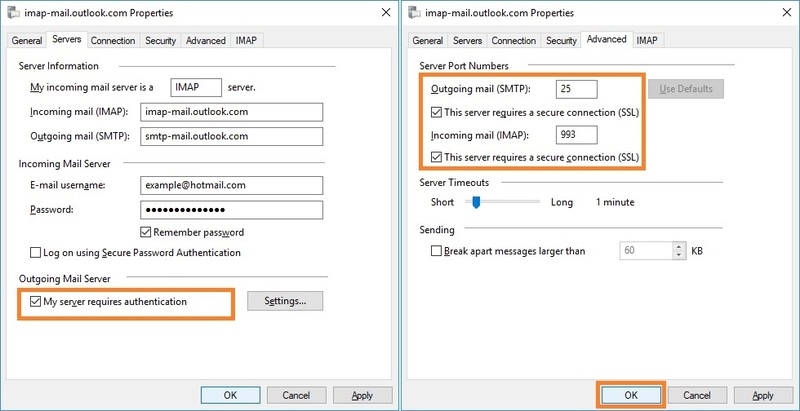 SMTP, POP3 and IMAP support. SSL support. Sending digitally signed e-mail messages. 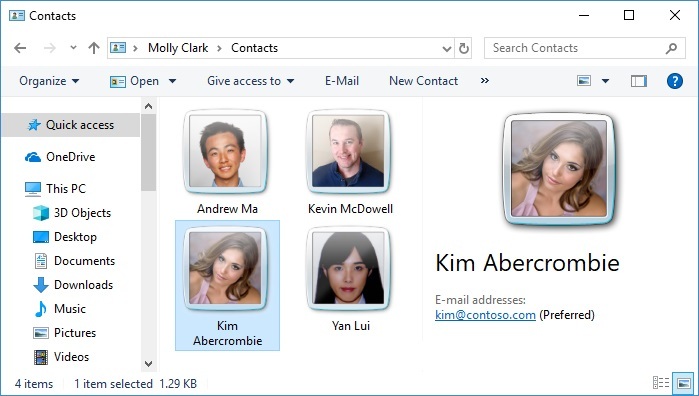 Can be easily configured with Gmail, Hotmail (Live, Outlook.com) or any other e-mail service. 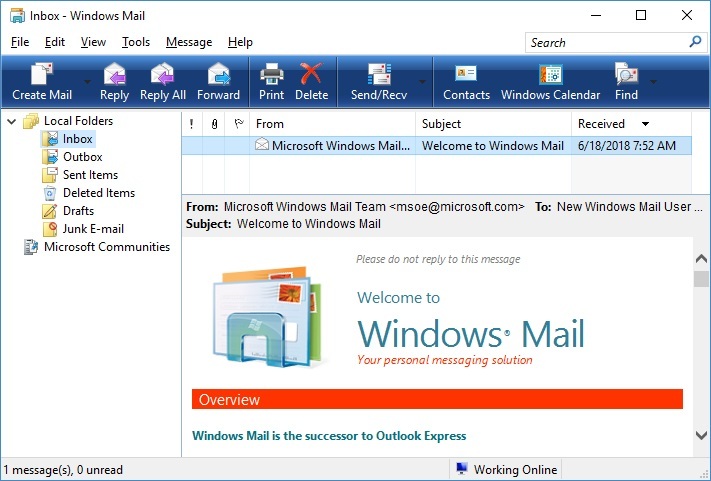 Windows Mail is fully compatible with Simple MAPI messaging functionality. 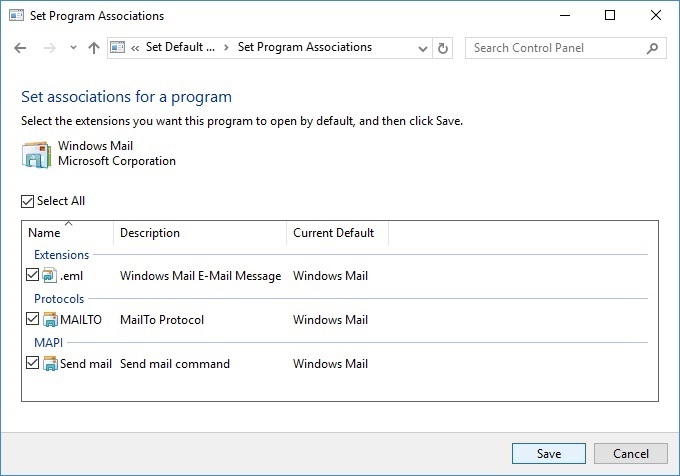 MAPI is widely used by standard Windows applications, mainly for sending documents using default e-mail program, e.g. Windows Mail. Windows Mail is also a newsreader program with NNTP protocol support. You have all the tools you need to join newsgroups to trade ideas and information with other people. 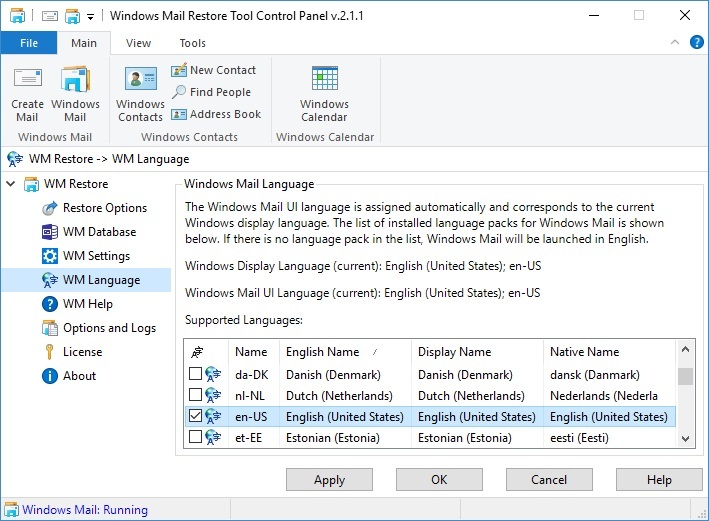 Available Windows Mail interface languages: English, German, French, Spanish, Italian, Japanese, Chinese (Simplified), Chinese (Traditional), Arabic, Bulgarian, Croatian, Czech, Danish, Dutch, Estonian, Finnish, Greek, Hebrew, Hungarian, Korean, Latvian, Lithuanian, Norwegian, Polish, Portuguese (Brazil), Portuguese (Portugal), Romanian, Russian, Serbian, Slovak, Slovenian, Swedish, Thai, Turkish, Ukrainian. Simple Mail Transfer Protocol (SMTP) servers handle the sending of your e‑mail messages to the Internet. The SMTP server handles outgoing e‑mail, and is used in conjunction with a POP3 or IMAP incoming e‑mail server. 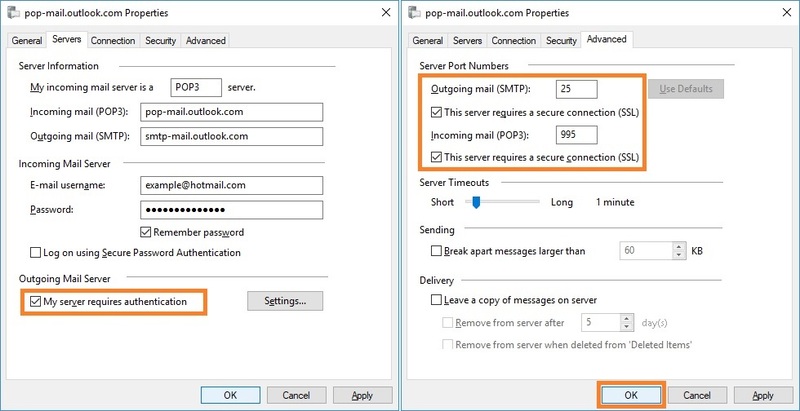 Post Office Protocol 3 (POP3) servers hold incoming e‑mail messages until you check your e‑mail, at which point they're transferred to your computer. 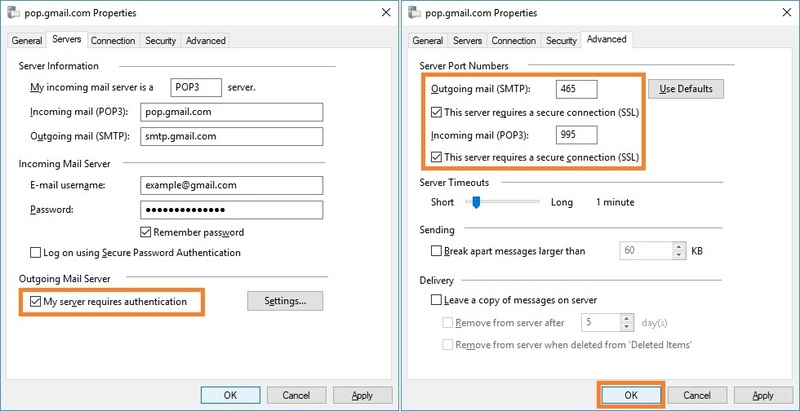 POP3 is the most common account type for personal e‑mail. 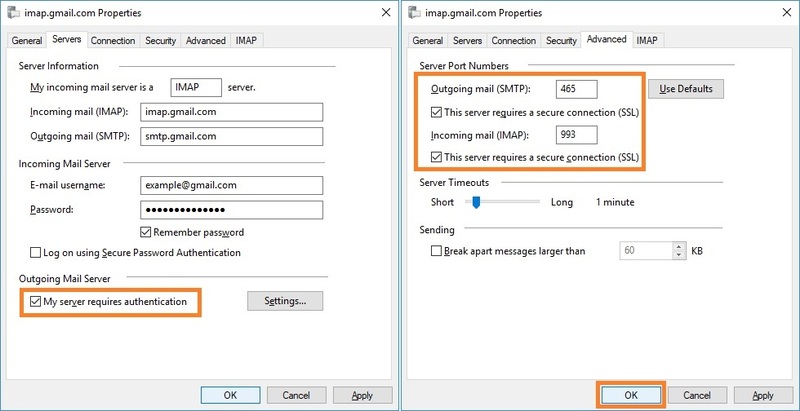 Internet Message Access Protocol (IMAP) servers let you work with e‑mail messages without downloading them. 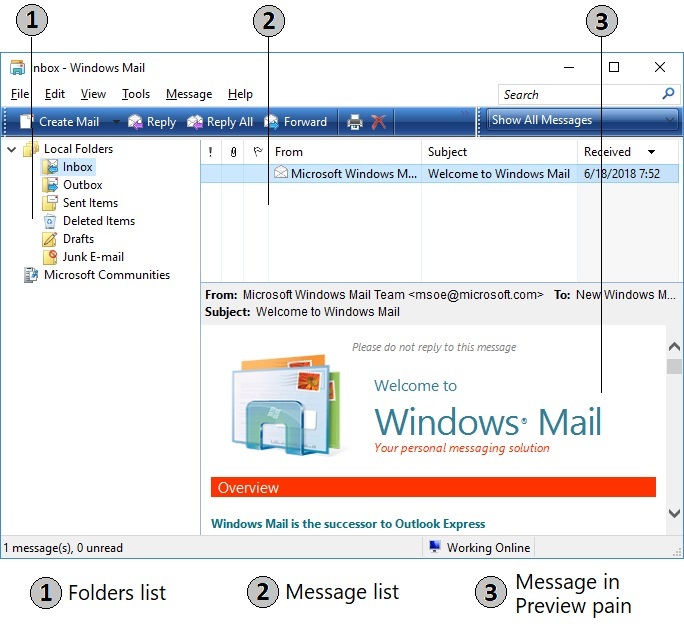 You can preview, delete, and organize messages directly on the e‑mail server. 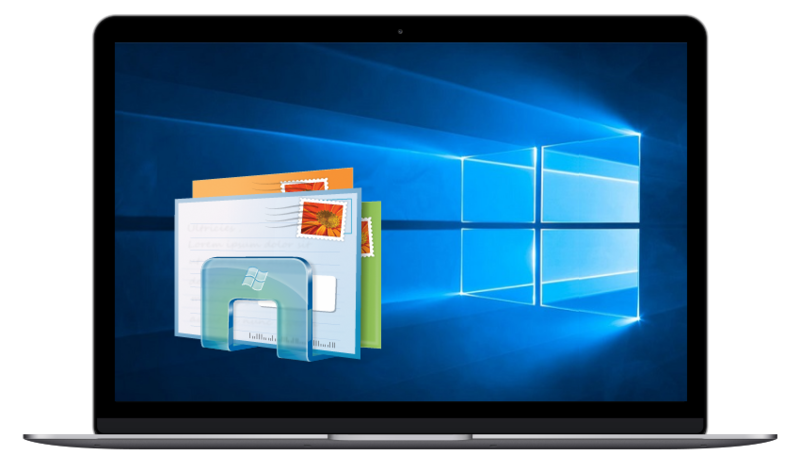 IMAP is commonly used for business e‑mail accounts. Simple MAPI is a set of functions and related data structures that can be used to add messaging functionality to Windows-based applications. 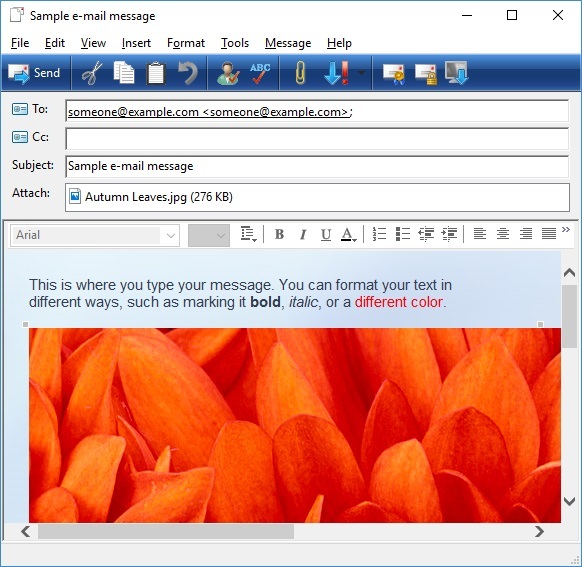 MailTo is an URI scheme for e-mail addresses. It is used to produce hyperlinks on websites that allow users to send an e-mail to a specific address without first having to copy it and enter it into an e-mail client. Network News Transfer Protocol (NNTP) is used to read and post newsgroup messages. 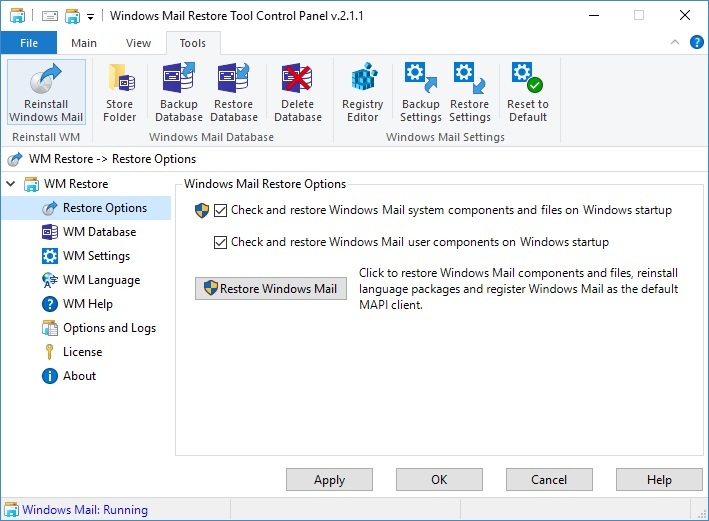 I want to say how happy I am, I found your solution as a replacement for Outlook Express. 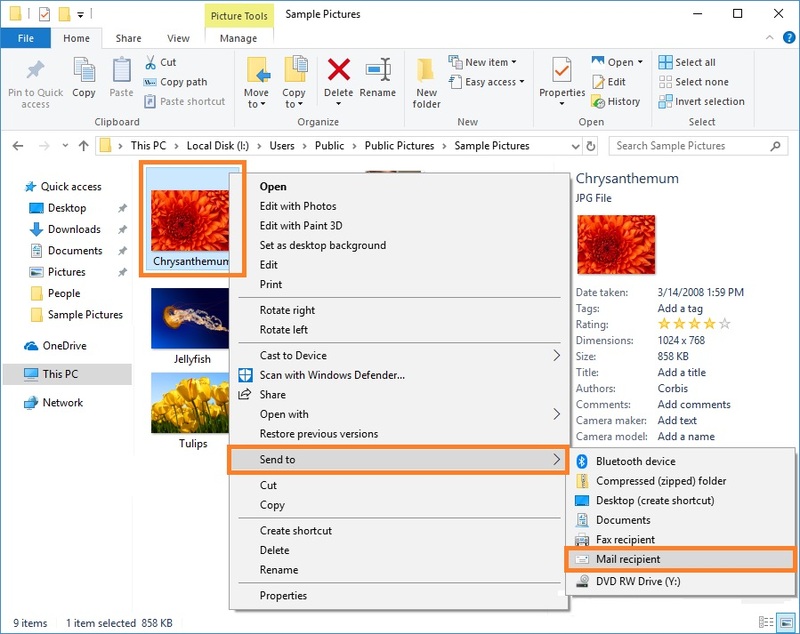 I never did like other software including Outlook as much as OE and when I moved to Windows 10 I was so disappointed to find the terrible programs that I found. 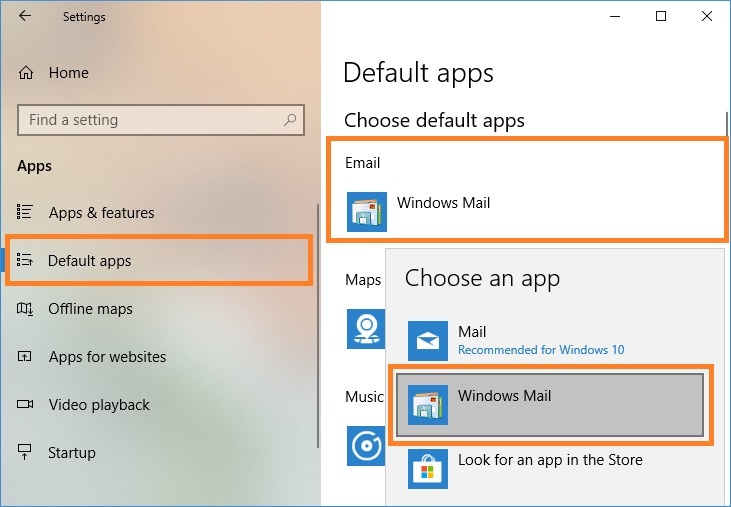 Now I am happy with Windows Mail. I just want to say a big thank you for your WM Restore Tool. I had been stuck with Windows XP because I didn't know what I would do for an email program for my multiple email addresses. 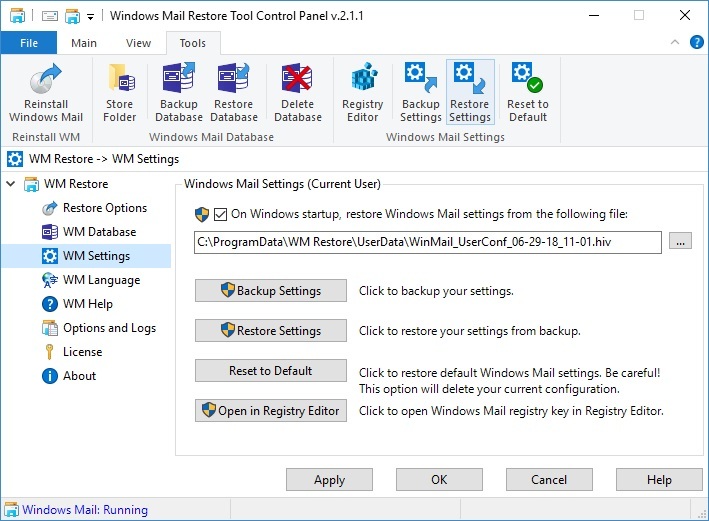 Was very easy to setup and now I can use Windows Mail on my new Windows 10 computer. We have used your T.38 fax solutions in our office for many years. And now you helped us to solve the problem with our e-mails. 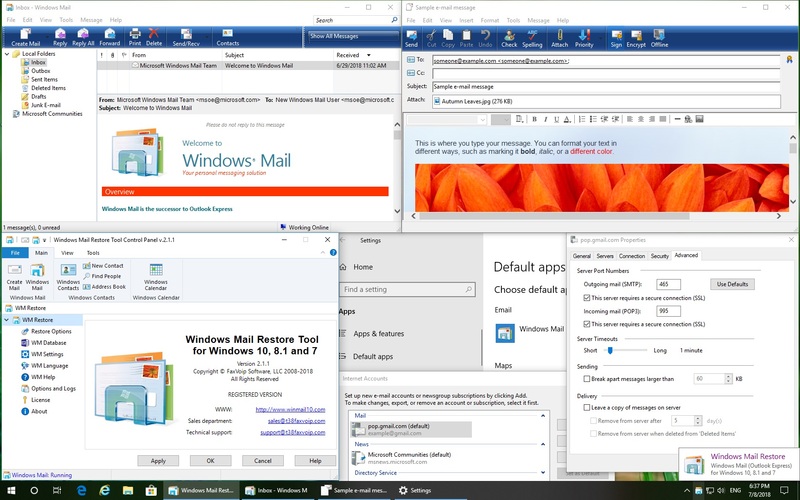 We tried to use many other solutions, but there is nothing better than the good old Windows Mail. Thank you Fax Voip for your excellent work.